Quintana Roo, officially the Free and Sovereign State of Quintana Roo (“Estado Libre y Soberano de Quintana Roo”), is one of the 31 states which, with the Federal District, make up the 32 federal entities of Mexico. It is divided into ten municipalities and its capital city is Chetumal. It is located in Southeastern Mexico, on the eastern part of the Yucatán Peninsula. It is bordered by the states of Campeche to the west and Yucatán to the northwest, and by the Orange Walk and Corozal districts of Belize, along with an offshore borderline with Belize District to the south. Quintana Roo has a coastline to the east with the Caribbean Sea and to the north with the Gulf of Mexico. It also claims territory which gives it a small border with Guatemala in the southwest of the state, although this disputed area is also claimed by Campeche. Quintana Roo is the home of the city of Cancún, the islands of Cozumel and Isla Mujeres, and the towns of Bacalar, Playa del Carmen and Akumal, as well as the ancient Maya ruins of Chacchoben, Cobá, Kohunlich, Muyil, Tulum, Xel-Há, and Xcaret. The Sian Ka’an biosphere reserve is also located in the state. The state officially covers an area of 44,705 square kilometers (17,261 sq mi), but since 1997 there is a boundary dispute with the states of Yucatán and Campeche over an area of approximately 10,200 square kilometers (3,900 sq mi). The statewide population is expanding at a rapid rate due to the construction of hotels and the demand for workers. Many immigrants come from Yucatán, Campeche, Tabasco, and Veracruz. The state is frequently hit by severe hurricanes due to its exposed location, the most recent and severe being Hurricane Dean in 2007, which made landfall with sustained winds of 280 km/h (175 mph), with gusts up to 320 km/h (200 mph). On February 1, 2015, Quintana Roo officially adopted a new time zone, Southeastern, which is five hours behind Coordinated Universal Time (UTC−05:00), and corresponds to Eastern Standard Time (EST). Reasons cited for the change include coordination of air travel, banking operations, and more daylight hours, the latter of which will result in less energy usage. 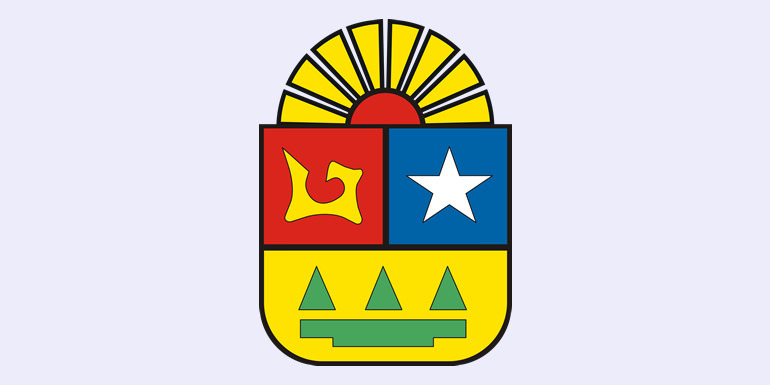 Quintana Roo was granted statehood within the United Mexican States on October 8, 1974. It is the Mexican Republic’s youngest state. Much of the state has a tropical wet and dry climate while the island of Cozumel has a tropical monsoon climate. The mean annual temperature is 26 °C (78.8 °F). The hottest months are April and August where the average high is 33 °C (91.4 °F) while January is coldest month with an average low of 17 °C (62.6 °F). Extreme temperatures can range from low of 10 °C (50.0 °F) in the coldest months to 36 °C (96.8 °F) in the hottest months. Quintana Roo averages 1,300 mm (51 in) of precipitation per year, which falls throughout the year, though June to October are the wetter months. Hurricanes can occasionally hit the coastal areas during the hurricane season, particularly from September to November. Quintana Roo’s tourist boom began in the 1970s. Tourism resulted in the development of coastal hotels and resorts, in addition to ecotourism inland and in coastal regions, which have increased the development of the region as well as the gross domestic product. Quintana Roo ranks sixth among Mexican states according to the United Nations Human Development index (HDI). The Yucatán Peninsula is one of the most forested areas of the world in terms of biotic mass per hectare. However, anthropological, biological and governmental experts have determined that Quintana Roo is ‘facing a faunal crisis’. Many medium to large game animals are disappearing due to hunting and habitat loss. While its population is relatively small, Quintana Roo is experiencing both a population influx and an increase in tourism. This only increases the pressure on the plants and animals native to the area. Also affected by the loss of habitat due to both agriculture and development, birds are one of the region’s most varied animal assets. Hundreds of species reside in Quintana Roo permanently, with hundreds of others either wintering there or using it as a stopover on the long journey into South America. As a result, many birders come to the area annually in search of the rare and unexpected. Projections for the tourism economy of Quintana Roo were exceedingly optimistic. It houses multiple tourist attractions from the Maya ruins to the lush forests and beautiful beaches. However, the long-term effects were not foreseen. The effect on the local environment was not properly considered. Economic stresses of development and population were virtually ignored. The effect on the native population was not properly considered. The ‘economic marginalization’ of the Maya has had drastic effects on their sense of place and identity. On February 1, 2015, Quintana Roo officially adopted a new time zone, Southeastern, which is five hours behind Coordinated Universal Time (UTC−05:00). Quintana Roo does not observe daylight saving time, so Southeastern Time is constant throughout the year (that is, it does not shift forward in the spring and back in the fall). Southeastern Time (ST) is the same as Eastern Standard Time (EST) and Central Daylight Time (CDT). This means that in the winter, Quintana Roo has the same time as regions observing EST, such as the eastern U.S., eastern Canada, Cuba, and Jamaica; and in the summer, Quintana Roo has the same time as regions observing CDT, such as central Mexico. 1. Allowing tourists in areas such as Cancun, Cozumel, and Playa del Carmen to spend more time and money at beaches, restaurants, historic sites, and other venues. 2. Reducing electricity usage by hotels, restaurants, and other facilities.